Enabling DHCP using PowerShell is very easy and can be accomplished in three lines of code. Yet for some reason many other online guides show the long way around. I previously posted about how to set static IP’s using PowerShell. This script to enable DHCP can be a complementary program inside an SCCM package to configure IP addresses. 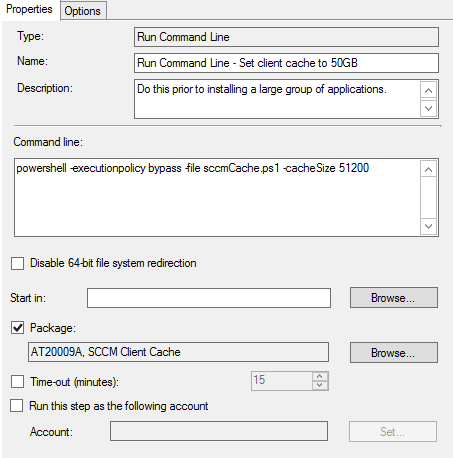 That way, you can have an SCCM program to deploy a static IP and then another program to reset it back to DHCP, and both of these programs can be inside one package. Alternatively, this script can be used as an Uninstall method if setting static IP’s using an application in SCCM, with a modified version of my network adapter configuration detection method script as the application detection method. This entry was posted in PowerShell on February 20, 2017 by Boris Kagan. I figured this script would be a good example to share because it uses a few different methods to find the information it needs on each publisher’s website. 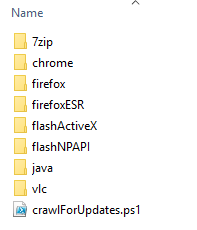 Some people can find these examples helpful to modify the code to crawl for something else. In the case of Adobe Flash Player for enterprise distribution, the website requires a login, so I just left the script to check the version and then open a browser window going to the login screen so that the user can manually download the MSI files. Since the Adobe enterprise distribution license says the download link cannot be shared, I have edited it out of the script, so you will need to replace it yourself if you want to use this function. Just search for all instances of “https://INSERT-ADOBE-DISTRIBUTION-LINK-HERE” and replace it with the URL you received from Adobe. I split this script into functions, with a function to download the software and a separate function to crawl the website for each piece of software. Inside of each crawl function, I split the variables and crawl methods that need modification. This also means that you can remove the last part of the script after line 315 if you would rather use the script to manually call each function using the PowerShell console in order to check for just one piece of software. Again, this script is very application-specific, so unless you need to check for updates and download this specific set of software, you will need to modify the script for whatever software you need. Use it as a very broad example of crawling the web with PowerShell. There are many different ways to do this, and I’m sure some might be better, but this way works exactly as I need it to for my specific use case. And of course if a website for a particular piece of software changes, the crawl function for that software will break, but there’s no way around that with web crawling. This entry was posted in PowerShell on February 15, 2017 by Boris Kagan.